When is the best time to repair or replace my roof? This is one question that homeowners or commercial building owners ask themselves when faced with a serious roofing problem. Timing is everything if we talk about roofing maintenance. You need to consider your schedule. Of course, you shouldn’t schedule any roofing work when you’re away from home. The availability of a roofing contractor is also another factor. Lastly, the time of the year. Should you get a roof repair or replacement during the winter? Spring or Summer? Fall? Here, you will learn the pros and cons of tackling a roofing job during each season. If you’re from Dartmouth, this guide is for you. 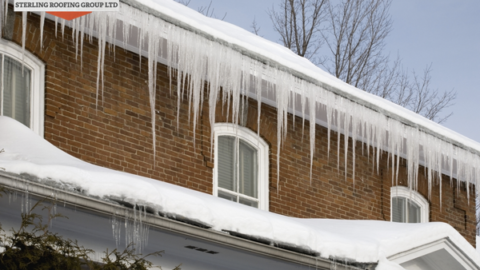 Winter is a treacherous time to get a roofing repair or replacement done. Sealants might not adhere properly and winds can blow off roofing shingles. The tar strip found at the back of each shingle should warm up first before it can properly seal to the shingle below it. It is for these reasons that roofing contractors, in general, wait for the weather to get warmer before they can start a roofing repair Dartmouth. However, if you’re in an emergency situation, do not think twice about calling your roofing contractor Dartmouth. 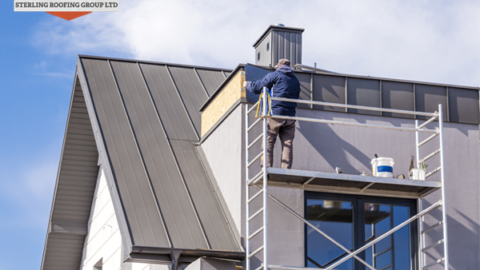 Contractors that have worked in the roofing industry for several years take all the necessary precautions to ensure that roofing jobs done in the winter are successful. A lot of people get roofing jobs done during spring and summer months. Though it moderately rains, the overall weather is considered good. What a roofing contractor Dartmouth usually does to complete a project when it rains is that they work on your roof in sections. One of the reasons why many homeowners and business owners call roofers in the spring or summer is that it is during these times that they discover leaks and other roofing problems. The summer heat and harmful UV rays of the sun cause shingles to crack. After it rains, moss and algae grow on shady areas of their roof. Storms break branches that fall onto roofs. Autumn is the best and ideal time for any roofing repair Dartmouth to take place. Why? The reason is that the weather is neither too cold nor too hot. Roofing contractors can comfortably work on roofs for hours since they do not have to deal with a slippery roof or exhaustion from too much heat. 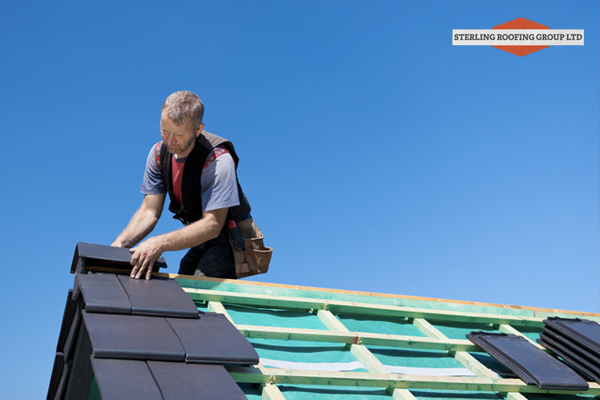 Most shingle manufacturers will tell you that the ideal temperature for roofing shingles to properly adhere to your roof is above 26 degrees Fahrenheit. Whether you need a roofing repair Dartmouth or replacement, a roofing job that’s completed in autumn will safeguard your home or building during the winter. Since fall months can be a really busy time for all roofing contractors, schedule your roofing tasks ahead of time. If not, you will be placed on a contractor’s waiting list. Regardless of the time of the year, serious roof problems that require immediate attention should not be put off. 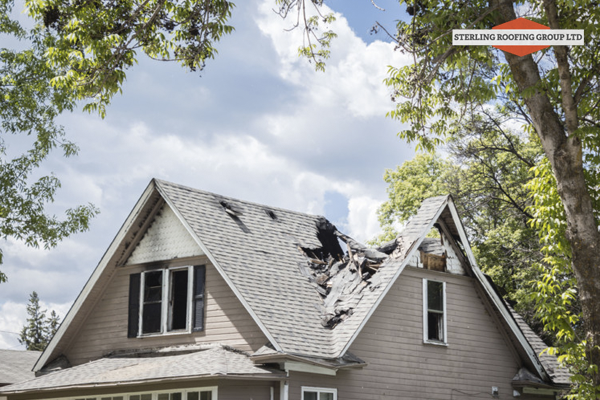 It’s never a good idea to ignore a roofing issue just because you want to wait for the “ideal time” to tackle it. What if a storm hits your roof and creates a huge hole in it? What would you do if you notice your energy bills suddenly increasing? The pros and cons for each season we just stated above are your guides, but you don’t have to strictly follow them if you know that you need to get a roof repair done TODAY. The more you delay a roofing task, the bigger the problem becomes, the more costs involved in getting it remedied. After a strong rain, walk inside your property to check for signs of an active leak. Look for water stains that run from your ceiling down your wall. Also, try to spot discolorations on your furniture. During the day, switch off the lights and check if daylight shows through your roof. Standing or ponding water is a common problem among flat commercial roofs. Water can stand on your roof for up to 48 hours and drains off. If not, consider this a tell-tale sign that you have a drainage problem. Put in mind that standing water adds weight on your roof. This stress weakens your roof structure. Roof vegetation isn’t cute. Moss growing on certain areas of your roof means that those areas are moist and not getting enough sunlight. Moss on roof acts like a sponge. It holds water. Eventually, water penetrates and damages your shingles. If you discover moss growth, schedule a roof cleaning job. Roof cleaning prolongs the life of your roof and can be done during summer or autumn. As a trusted roofing contractor Dartmouth, our professionals here at Sterling Roofing Group are ready to solve your roofing problems any time of the year. We will help you come up with a good maintenance plan for your roof. Whether you need a roofing repair Dartmouth or require a residential or commercial roofing installation, simply get in touch with us.